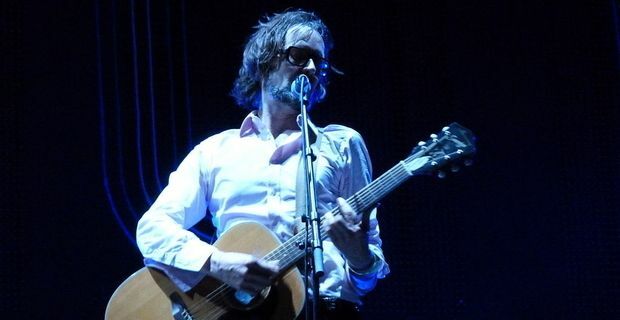 Pulp singer Jarvis Cocker has admitted to a reverence for The Beatles. It’s not a particularly controversial position to adopt, but he wanted to state his admiration for their artistic innovation. "I love the Beatles," Cocker wrote in The Guardian. "I haven't named any kids after them but I still really love them. They were the first group that I was ever properly aware of. In my early teens I would sometimes stay in and listen to the radio all day in the hope that I would catch a song by them that I'd never heard before and be able to tape it on my radio-cassette player." Reviewing Hunter Davies’s collection of John Lennon’s letters for the paper’s books pages, Cocker underlined the importance of the members’ humble roots. "Four working-class boys from Liverpool showed that not only could they create art that stood comparison with that produced by 'the establishment' – they could create art that pi**ed all over it. From the ranks of the supposedly uncouth, unwashed barbarians came the greatest creative force of the 20th century. "It happened – and that gave countless others from similar backgrounds the nerve to try it themselves," he continued. "Their effect on music and society at large is incalculable." Trying to emulate The Beatles was doomed to failure though, Cocker argued. He cited the lessons of 1990s Britpop as an example: "Too much reverence. Wearing the same clothes and taking the same drugs will not make us into Beatles. It will make us fat and ill."
Lennon to be cloned from tooth DNA?